While the Nobel Peace Prize was being awarded this week in an ornate hall in Oslo, a small island nearby was shrouded in a cold mist that made it seem almost haunted. 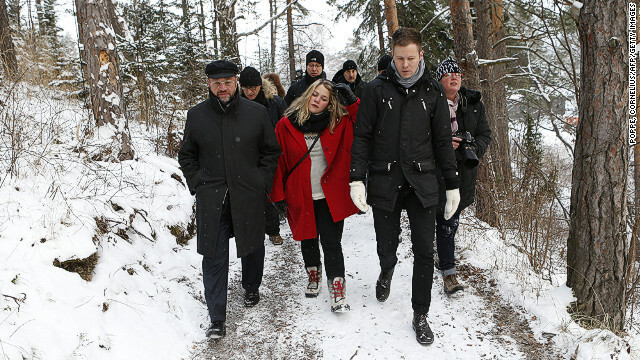 Utoya Island has dropped from the headlines, but it remains fresh in the memory of many, including one of the European Union leaders who received the Nobel prize, as the site of Norway's worst mass murder since World War II. Martin Schultz, the president of the European Parliament made a point of going to the island the very next day. "The attack was an attack on our values," said Martin Schulz, president of the European Parliament. "But our values are stronger than the attack." Schulz -- along with European Commission President Jose Manuel Barroso and European Council President Herman Van Rompuy -- accepted the award on the EU's behalf Monday, with the massacre of July 2011 already on his mind.